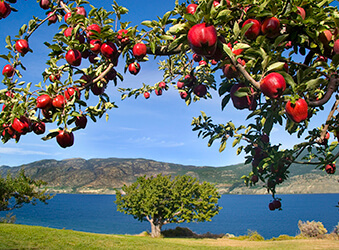 Visitors and neighbouring residents alike are drawn to the Okanagan for its beautiful scenery and lifestyle. Awarded with the number two most beautiful beaches in all of Canada (only trailing behind Tofino, BC), this region promises a beautiful area to visit and live year round. The Okanagan enjoys a moderate winter climate in town with champagne powder in the mountains. World-class ski resorts such as Big White, Silver Star and Apex are within a short driving distance of the main cities. Other activities such as Nordic skiing and snowshoeing are also popular. In the summer, beautiful beaches and hot dry summers lure vacationers from around the globe. Boating, hiking, camping, fishing, mountain biking, and cycling are all in abundance – just to name a few. The Central Okanagan is the most populated of Interior Health’s service areas. It has a population of over 313,000 and covers an area over 20,000 square kilometers. There are three major urban centers: Kelowna, Vernon and Penticton. A little more urban than other health service areas, the Okanagan still has rural areas and a strong sense of community. Armstrong is a beautiful North Okanagan community offering the advantages of a rural lifestyle within close reach of the urban municipalities of Vernon and Kelowna. Armstrong’s natural beauty provides a perfect setting for year-round outdoor activities. Renowned for the world-class cheese it manufactures, Armstrong is also the turnaround point for a steam powered heritage train which travels between Kamloops and Armstrong. The vibrant cultural community hosts a number of events and festivals throughout the year, including the famous Caravan Theatre. For over 100 years, Armstrong has hosted the Interior Provincial Exhibition and Stampede - an exhibition attracting participants and visitors from across BC to join in concerts, agricultural shows, cooking and animal judging. 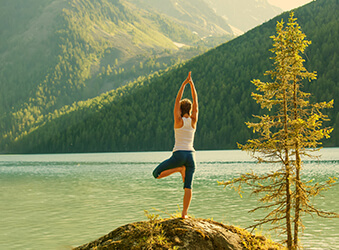 Surrounded by scenic, crystal clear lakes and natural beauty, the town of Enderby is a year-round paradise. Its friendly community and Okanagan Valley setting combine to make it a destination of choice for anyone who enjoys the outdoors. Enderby, British Columbia offers the perfect blend of friendly rural charm, pristine natural beauty and unparalleled outdoor adventure. Hike the iconic Enderby Cliffs for breathtaking panoramic views in all directions, or simply savour the sights, sounds and tastes of our various farm markets. 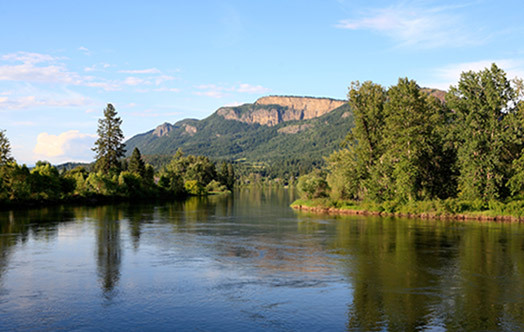 Situated where the Okanagan meets the Shuswap, Enderby is just minutes away from the larger communities of Vernon and Salmon Arm. Blessed with four distinct seasons; there are countless recreation opportunities all year round. 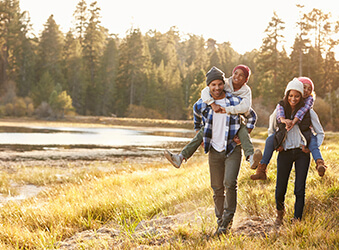 Enjoy snowshoeing, snowmobiling, ice fishing and skiing in the winter, while swimming, hiking, biking, paddling, white-water rafting, camping and horseback riding can be found in abundance during the summer months. Kelowna’s sunny weather, spectacular scenery, lakes, canyons and many attractions are the perfect combination for those who enjoy an active lifestyle and an urban setting. Kelowna residents and visitors enjoy a vibrant cultural life including a professional symphony, annual festivals, and art exhibits. Downtown Kelowna offers a spectacular landscape of lake, mountains and parks, with a wide range of cafés, continental and ethnic restaurants and noisy nightclubs to choose from as well as unique shops and boutiques, heritage buildings and modern architecture, art galleries and museums, music and live theatre, and even a symphony and ballet. 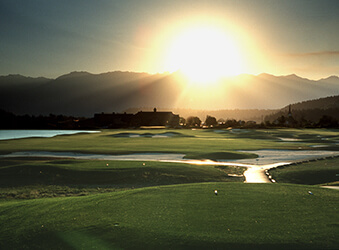 Golf courses, orchards, pristine lakes and numerous surrounding vineyards make Kelowna (and nearby West Kelowna and Winfield/Lake Country) a haven for outdoor enthusiasts. World-class skiing and snowboarding is only a short drive away at Big White – where Canada’s largest ski-in/ski-out village offers a host of winter activities, fine dining and shopping. Keremeos is a beautiful town located on the banks of the Similkameen River less than 40 minutes from Penticton. 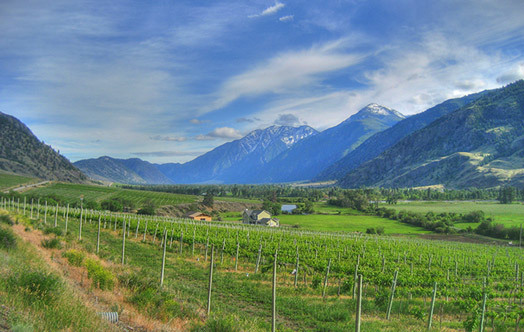 The climate experienced in Keremeos –mild winters and long, hot summers– is ideal for fruit growing and is home to a number of award-winning wineries. The area has one of the highest concentrations of organic fruit and vegetable producers in B.C. Full of hiking and riding trails, including the pristine Cathedral Provincial Park, Keremeos is an active community. The people in Keremeos embrace small town living yet still have the convenience of bigger towns and cities nearby. We work hard at our orchards, wineries, cattle ranches, and jobs, but we love taking a Sunday afternoon off to relax and float down the Similkameen River. We enjoy having almost any fresh fruit or vegetable we could wish for right in our back yard! We walk down the street and say hi and smile to anyone we pass – Keremeos is definitely small town living at its best! The District of Lake Country is made up of four neighbourhoods rich in culture and history: Oyama, Winfield, Carr's Landing, and Okanagan Centre. Tranquil lakes, world-renowned wineries, numerous orchards and ambient charm make Lake Country a community frequented by tourists and adored by locals. Experience water sports, destination ski and golf resorts, camping, hiking and more in this four-seasons playground! 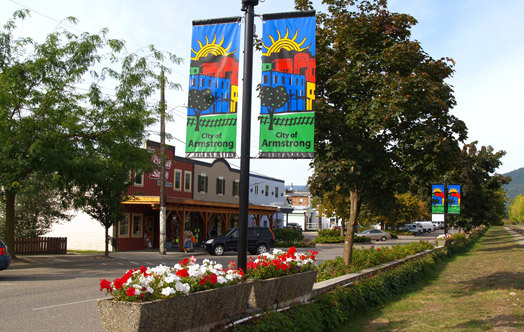 Lumby is a scenic village situated east of Vernon and is proud to be known as both The Trail Capital of Canada and The Gateway to the Monashee Mountains. Its location offers access to an endless variety of activities and amenities while preserving a close-knit, small community atmosphere. Its beauty, unlimited recreational opportunities and growing diversified economy make it a great place to work and play. 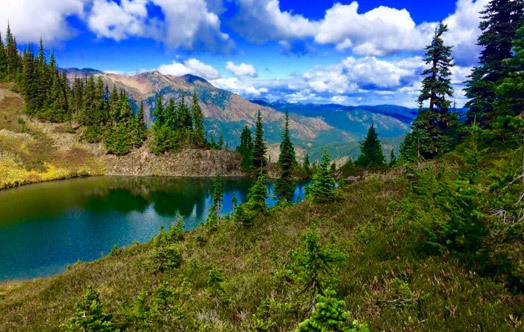 Set amid three valleys, Lumby is a paradise for campers with pristine lakes, old growth forests, hiking and spectacular scenery. I’ve worked in Lumby for nine years, and I love it. This is a small town, so small there are no traffic lights, just one blinking red light in the centre of town. I would describe Lumby and Cherryville as communities that rely mostly on farming and ranching to keep the economy going. I enjoy the diversity of the work out here. As the only public health nurse in town, I get invited to a number of different tables, so I feel like a valued participant in community development. The infants I saw during my first baby visits nine years ago, I am now seeing as grade three students in the local elementary school. That’s a feeling that is difficult to describe. Surrounded by picturesque orchards, forests, vineyards and mountains, Oliver is an ideal location for outdoor recreational pursuits. Given the abundance of lakes in the area, water sports, including water-skiing, windsurfing, canoeing and fishing are very popular. Other activities include cycling, hiking, wildlife viewing and horseback riding. Located at the narrowest section of Osoyoos Lake, the Town of Osoyoos enjoys the hottest summer days in Canada. With all that heat, there are many opportunities for great summer activities including all sorts of water sports, biking, and hiking. Vineyards and fruit stands are also plentiful in the small multicultural community. The day I relocated to Osoyoos, the blossoms were blooming shades of pink and white and the sky was blue in late March. Now, 20 some years later, I am still amazed at the blossoms and love the fruit that follows. Osoyoos is Canada’s warmest place – both in weather and the people who live here! I love the community where I golf, swim, fish, take in a hockey game, hike, enjoy the beach, eat well, enjoy great wines, and watch the best fireworks at our Cherry Fiesta. I also enjoy my colleagues who work with me at the Osoyoos Health Centre. 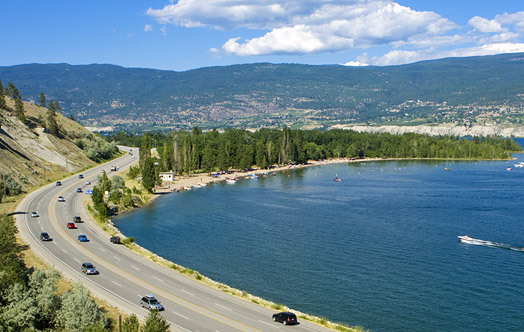 Situated on eleven kilometres of Okanagan lakefront, the community of Peachland is a location that many dream about vacationing! Positioned mid-way between Kelowna and Penticton and within reach of dozens of wineries and orchards Peachland is the ideal Okanagan destination. During the summer months, enjoy water sports, hiking and biking and in the short winter months, visit nearby Big White or Apex Mountains for downhill skiing and snowboarding. 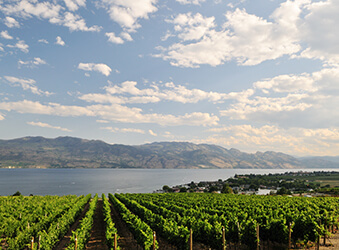 Cradled within tree trimmed mountain slopes, dramatic clay cliffs and bordered by the Okanagan and Skaha Lakes, Penticton is one of the larger cities in the BC interior and a popular destination for visitors of all kinds. Its lush surroundings and ideal climate, with over 2,000 hours of sunshine per year, combine to create the perfect landscape. 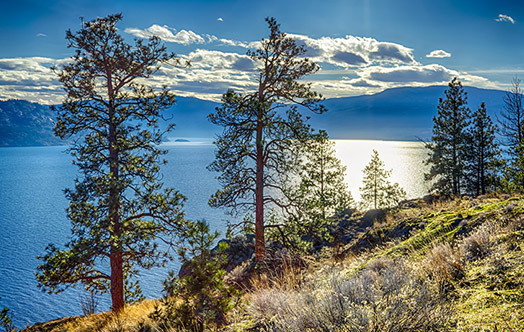 Square dancing jubilees, wineries, ideal windsurfing spots, golf courses or simply relaxing on one of Penticton’s fabulous sandy beaches, Penticton has it all. Whether you climb aboard the S.S. Sicamous or the Kettle Valley Railway, you will enjoy all of the amenities this town has to offer. I have recently relocated to Penticton and I could not be more pleased. Living in the South Okanagan is truly amazing. Beauty surrounds this exquisite valley. Since my arrival in August, I have had the pleasure of swimming and playing at the beach, hiking alpine meadows, watching the Challenge Triathlon, hiking scenic trails, visiting local wineries, shopping the summer farmers’ market, and now snowshoeing snowy trails, and skiing the powder of Apex mountain. I have felt welcome since my arrival and I am continually amazed at the beauty I see each and every day. Beautifully situated where the Tualmeen and Similkameen Rivers meet, Princeton is the southern gateway to BC’s Interior. The Cascade Mountains, surrounding valleys and numerous lakes make it an exceptional place to work, play and explore the great outdoors. In town, the museum and historic buildings honour Princeton’s rich and colourful history. Its many events, tournaments and fairs bring the community together throughout the year. Incredible cross country and downhill skiing can be found minutes away at Manning Park. Princeton offers a quiet lifestyle, plenty of clean air, and the staff is great. You get to know the community, and everyone gets to know you and trust you. It’s great when a patient says ‘I was relieved to see a familiar face’ when you are helping them in the Emergency Department. Summerland is fruit growing country. It is the biggest growing and processing town in the Okanagan. Only in the Okanagan could you find Eden-like farms and orchards, world-renowned wineries and rustic heritage ranches all in one place. The name Summerland evokes images of warm beaches, bright blue skies and friendly people. Summerland offers all of these things and more. Summerland has all of the benefits of a small, intimate community with the larger centres of Penticton and Kelowna only minutes away. It has something for everyone: Okanagan Lake beaches and parks, the Canada Trail, street festivals, biking trails, a historic steam railway, along with award-winning wineries, restaurants, and music and drama festivals. Our patients regularly comment on our friendly, compassionate, and professional staff and that coming to a smaller health facility allows them to be more at ease. 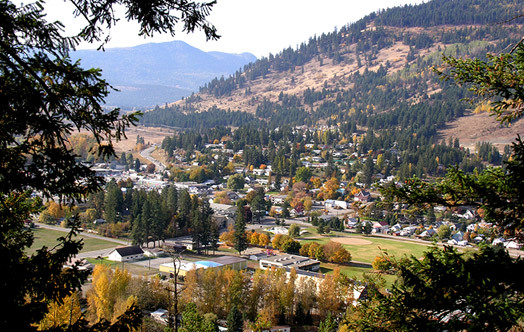 The thriving City of Vernon is situated in the northern region of BC’s Okanagan Valley Basin between the beautiful Swan, Kalamalka and Okanagan lakes. It boasts a unique history, diversified economy, attractive climate and beautiful natural setting offering residents a highly desirable balance of small-town charm combined with the amenities of an urban centre. As the largest regional centre in the North Okanagan area, it also serves as a major vacation destination. The area is a haven for the outdoor enthusiast with ready access to mountains, lakes, rivers and provincial parks. Summer activities include hiking, mountain biking, kayaking, scuba diving, sailing, water skiing and fishing. Winter pursuits include alpine and cross-country skiing, snowboarding, tobogganing, snowmobiling, snowshoeing, dogsledding and ice fishing. 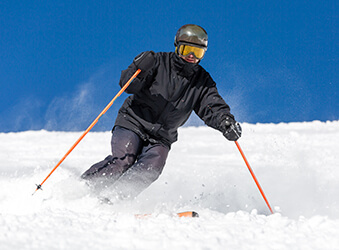 Located 22 km to the northeast of Vernon is Silver Star Mountain Resort, a world-class ski destination with 108 runs. 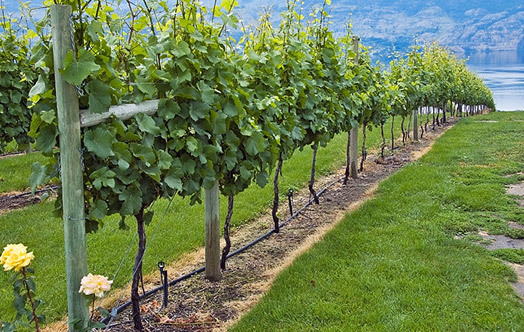 Lush vineyards borded by Okanagan Lake and a dormant volcano create the panoramic backdrop for life in West Kelowna. An abundant history in agriculture and a farm-to-table way of life, coupled with an array of urban amenities for shopping and dinning, give the thiving city of West Kelowna a feel of 'rural sophistication'. Though only recently becoming a municipality, West Kelowna's roots run deep. The Sqilxw Fist Nations People have called this area home for centuries and pass their rich history down from generation to generation, beautifully weaving their culture throughout the community in art, signs and symbols. Offering biking trails, sandy beaches, dozens of wineries, golf courses, ski hills and numerous farms and orchards, West Kelowna holds something for everyone. Click to learn more about living in the Okanagan. Click to learn more about working in the Okanagan. 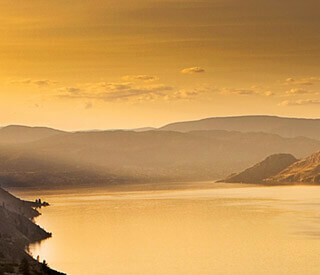 Click to learn more about discovering the Okanagan.